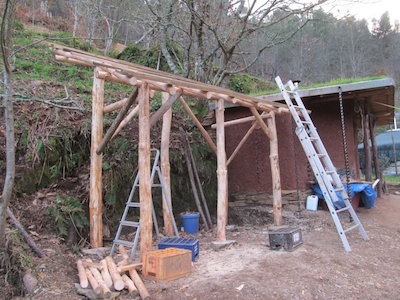 At the end of last June, we set out to replace the log store on the yurt terrace which had started to lean precariously. 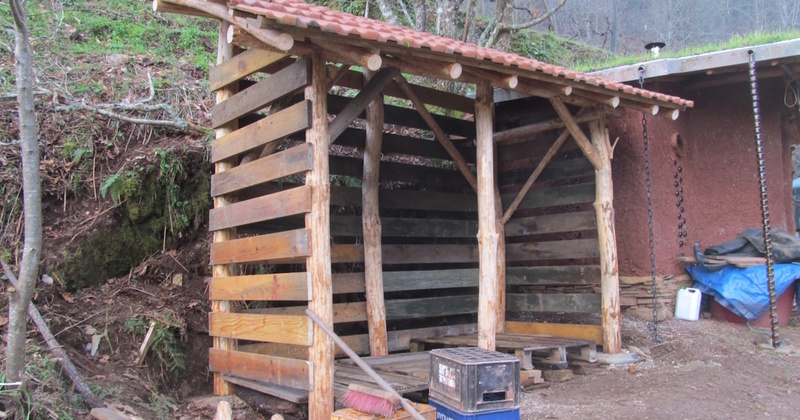 At the time, it was serving as a temporary home for our composting toilet, so to relocate the toilet, we ended up building the cob bathroom. 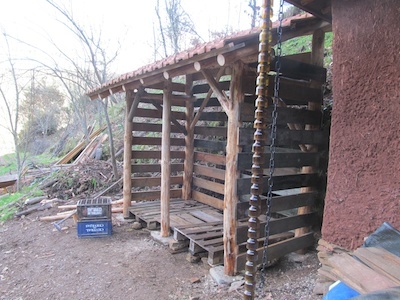 Now, with the bathroom walls slowly drying and soon ready for their coats of plaster, it was finally time to rebuild that log store. 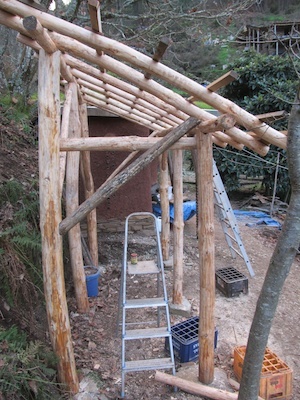 It took just 4 days, including cutting the timber for the main structure in the woods and stripping the bark off it. 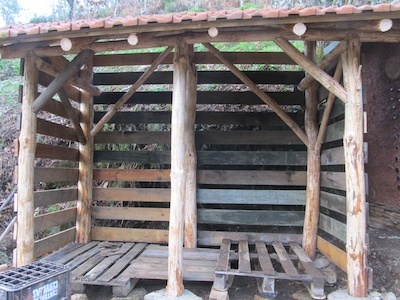 Everything else was recycled from the dismantled log store. 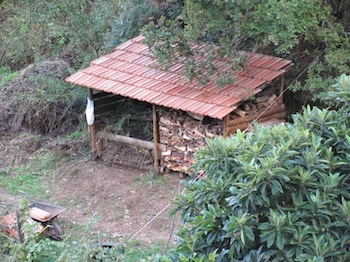 This time we built it higher and less deep, and single- rather than dual-purpose: all firewood storage rather than half of it being a compost bin. 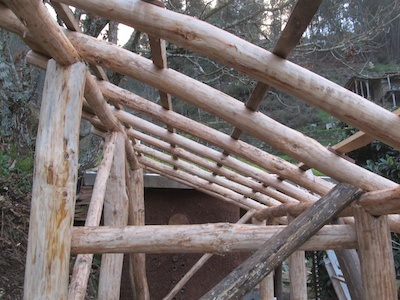 The completed structure can hold 5 cubic metres of firewood, not far off a winter’s supply for our present needs, and easily sufficient for the yurt and bathroom once the main building is in use. Dismantling the old structure was a good lesson in just how fast pine timber can rot here. Despite preserving the ends of the posts in a diesel + used engine oil mix and sinking them in gravel-filled holes for rapid drainage, the portions in the ground were almost completely rotten. So this time the posts were mounted on schist slabs to keep them above ground and held in place with lengths of rebar drilled into the stone. Thanks to João and Scotty for great work.